Download WODM Tool latest tool For Free. Here You can Download Latest version For of WODM Tool. it's a Potable tool No Need to install. Just Download and Run. 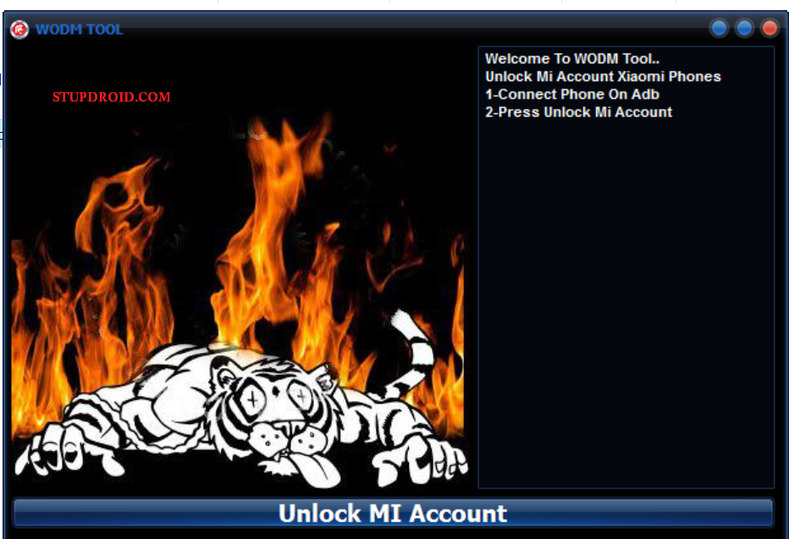 WODM Tool tool Can be used to Bypass or unlock Mi account on Most mo MI phone Running on MIUI 9. The tool use Adb Mod to Bypass Mi accoount. So First of all install adb fastboot Driver on PC then Try it otherwise it Will not Work.